De danske traditionelle genfundet i USA af Jensen & Bugge. Chris Jerup left Denmark in 1893 with his fiddle, his accordion, and a head full of dance tunes from his home region of Vendsyssel in northern Jutland. His father, Kræn Jerup, had been a fiddler of great reputation in Vendsyssel: he’d thatched roofs by day and fiddled at night, and passed his tunes to his son. Chris set out for Monona County, Iowa to meet his sponsor for US citizenship, Fred Knutson. Fred got Chris a job as a hired farm hand for Charlie Bisbee, who farmed near the little town of Turin, Iowa. Chris played dances for the Danish immigrants in the Loess Hills around Moorhead, Iowa for many years. When Chris sold his farm in 1946, he moved in with his daughter Mary Lamb and her husband Clarence. The Lamb home was filled with music at night, as Clarence fiddled and Mary played the pump organ. Their twelve year old son, Dwight, started to learn Danish dance tunes on the accordion from his grandfather, Chris, that year. While most of these tunes were quietly forgotten back home in Denmark, Dwight carried them into the 21st century just as he had learned them from his grandfather Jerup. 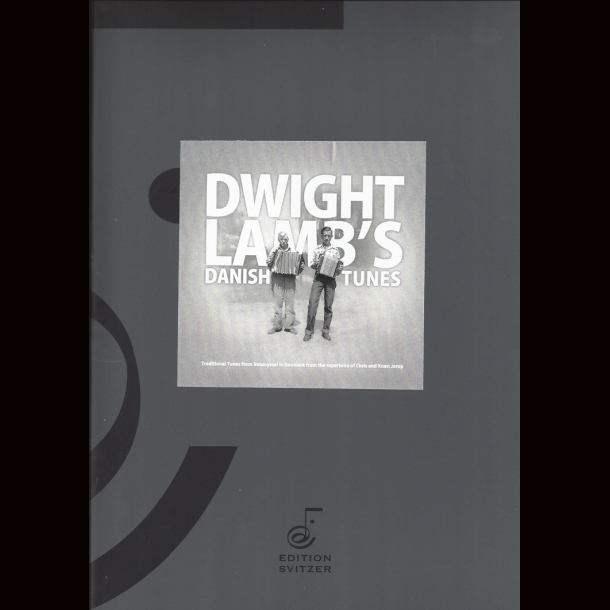 Since 2008 Mette Kathrine Jensen Staerk and Kristian Bugge have undertaken to learn all these tunes from Dwight and bring them back to the people of Denmark. Dwight is delighted to share his music with others and hopes that the music of his grandfather and great grandfather will be enjoyed by future generations on both sides of the Atlantic. With the publication of this tune book, Dwight, Mette and Kristian encourage other musicians to play these tunes for friends, relatives, dancers and keep the happiness going.